Perhaps your ambition is play in a church praise band, a rock band, or a jazz combo or big band. You possess some basic note-reading skills and keyboard facility. You’re ready for band keyboard lessons! Reading a lead sheet, which often contains only lyrics and chord symbols, and possibly the melody. The rest is up to you! Constructing chords—major, minor, diminished, dominant seventh, sus, eleventh, and so much more. Playing common chord progressions, using inversions to move smoothly from chord to chord, in various keys. Creating chord voicings—your unique sound—from all the possibilities of 88 keys. Executing scales—major, the various minors, pentatonics, blues, and more—with facility, and knowledge of how to apply them in fills and soloing. Learning licks, fills, and patterns for soloing. Developing your ear—recognizing common progressions, transcribing an enviable solo, playing songs and licks you hear. This involves recognizing intervals, chords, and scales. Playing in the style and groove of the song. Playing with a click-track. Not over-playing—knowing when to play and when to lay back. 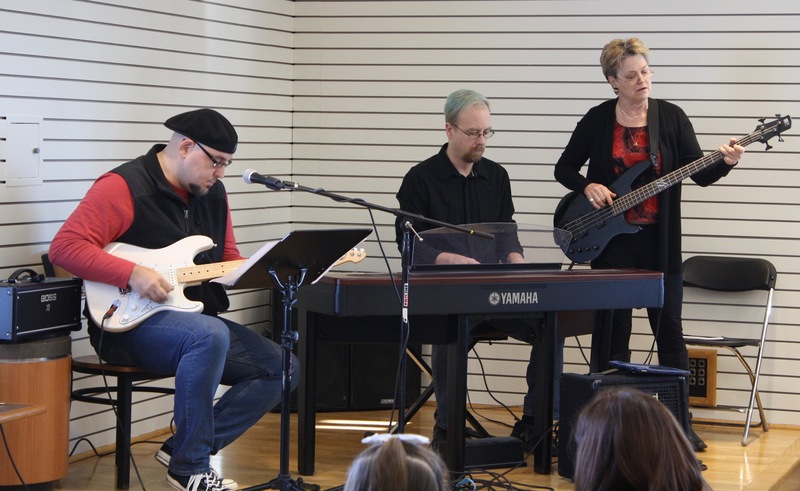 Get your band keyboard lessons here at Sykes Piano Studio in Osseo, MN! You’re invited for a free get-acquainted session at Sykes Piano Studio in Osseo. We are convenient also to Maple Grove, Champlin, Brooklyn Center, and Brooklyn Park. Register here to calendar your no-obligation, no fee appointment time. It’s time for your music! Go for it! Cheri brings 25 years of experience as a church bandleader. 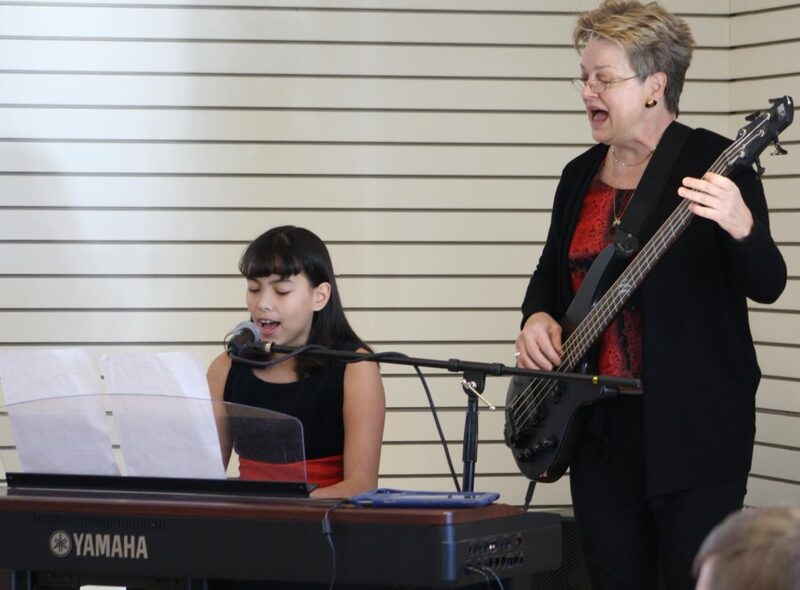 She’s led bands in Catholic, Lutheran, and Methodist churches large and small, with musicians from beginning to professional skill levels. Styles has encompassed rock, jazz, gospel, blues, funk, bluegrass, celtic/rock, and more. Her professional jazz and rock combo, Wild Honey, has performed on KARE-11 TV, Westminster Town Hall Forum, and Luther Seminary Symposium (www.wildhoneyandthelocusts.com). Cheri has presented on band keyboard styles for the Minnesota Music Teachers Association’s State Convention. Cheri also is keyboardist for the Swing Sisterhood Big Band.